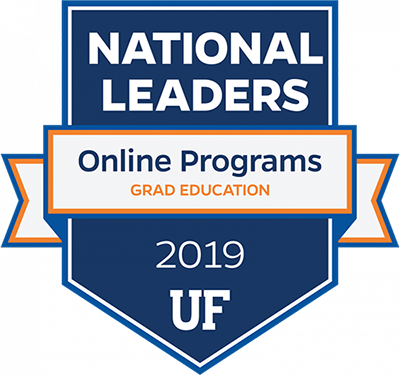 Ph.D. students at University of Florida outside of the School of Human Development and Organizational Studies in Education may obtain a minor in REM with emphasis on quantitative or qualitative methods. Students interested in pursuing a minor in REM must have a REM faculty member as a member of their doctoral committee. The minor in REM with a quantitative focus adds a strong foundation in research methods, educational statistics and psychometrics. The minor in REM with a qualitative focus adds a strong foundation in epistemologies, research approaches, and data collection and analysis methods suitable for qualitative inquiry. To obtain a minor in REM, students are required to collaborate in research with a REM faculty member, have this faculty member serve in their doctoral committee, and complete a set of REM courses. The required research collaboration with a REM faculty member may take the form of the writing and submission of an academic paper for publication, with either the student or the REM faculty member as lead author. The specific details of the collaboration should be negotiated with the REM faculty mentor supervising the REM minor. The courses that will count towards a REM minor are listed below. Students should consult with their REM faculty mentor about the optimal sequence of courses to match their research interests and experiences. The minor in REM with a quantitative focus adds a strong foundation in research methods, educational statistics and psychometrics. The minor in REM with a quantitative focus requires at least five courses selected from the following list. The REM representative on the doctoral committee may require additional courses. Students should also consult the Sequence of Quantitative Classes. Depending on the student’s background, the REM representative on the doctoral committee may require one or more of the following courses in addition to those used to meet the requirement listed above: EDF 6400, EDF 6402, and EDF 6403. The specific courses must be approved by the REM faculty member on the doctoral committee. The minor in REM with a qualitative focus adds a strong foundation in epistemologies, research approaches, and data collection and analysis methods suitable for qualitative inquiry. The minor in REM with a qualitative focus requires students to take EDF 7479 and EDF 7483 and two additional courses related to qualitative research traditions and practices. EDF 6475 does not count toward the minor credits. The specific courses must be approved by the REM faculty member on the doctoral committee.